Wiener Staatsoper Director Dominique Meyer, Ballet Director Manuel Legris and Managing Director Thomas W. Platzer held a press conference on Thursday 19 April 2018, at which they announced the programme for the forthcoming 2018/2019 season, as well as details of the activities commemorating “150 Years of the Opera House on the Ring”.  2019 Nureyev Gala (28 June 2019 – conductor: Kevin Rhodes). The new season will also see the débuts of many artists, such as the conductors Jader Bignamini, Valery Gergiev, Domingo Hindoyan, Antonello Manacorda, Enrique Mazzola and Giacomo Sagripanti and directors Andrea Moses and Vincent Huguet. Singers performing for the Wiener Staatsoper audience for the first time in 2018/2019 will include Eleonora Buratto, Katrina Galka, Lianna Haroutounian, Jeni Houser, Clémentine Margaine, Golda Schultz; Andrea Carè, Tobias Kehrer, Luca Salsi, Anatoli Sivko, Michael Spyres, Vladislav Sulimsky. Celebrated singers will give role débuts at the opera house on the Ring in the 2018/2019 season. Andreas Schager will perform Lohengrin for the first time, Piotr Beczala gives his role début as Cavaradossi (Tosca), Nina Stemme and Evelyn Herlitzius sing the Dyer’s Wife and the Nurse, respectively, in Die Frau ohne Schatten, Christopher Maltman makes his début as Rigoletto, Tomasz Koniecny sings the title role in Dantons Tod, Falk Struckmann débuts as the Hermit (Der Freischütz), Marina Rebeka as Nedda (Pagliacci) and Adam Plachetka as Chorèbe (Les Troyens). In the first Staatsoper performance of Orest, Thomas Johannes Mayer sings the title role, Evelyn Herlitzius Elektra, Laura Aikin Helena and Audrey Luna Hermione. Giving staged performance role débuts are Juan Diego Flórez as Des Grieux (Manon) and Joyce DiDonato as Didon (Les Troyens). Serena Malfi, Ana María Martínez, Waltraud Meier, Liudmyla Monastyrska, Catherine Naglestad, Anna Netrebko, Kristīne Opolais, Elena Pankratova, Myrtò Papatanasiu, Adrianne Pieczonka, Sondra Radvanovsky, Marina Rebeka, Anne Schwanewilms, Tatiana Serjan, Albina Shagimuratova, Ekaterina Siurina, Anna Smirnova, Elza van den Heever, Iris Vermillion, Elena Zhidkova; Carlos Álvarez, Marcelo Álvarez, Ain Anger, Aleksandrs Antonenko, René Barbera, Piotr Bezcala, Daniel Behle, Benjamin Bernheim, Pavol Breslik, Joseph Calleja, Marco Caria, Plácido Domingo, Norbert Ernst, Yusif Eyvazov, Riccardo Fassi, Roberto Frontali, Ferruccio Furlanetto, Matthias Goerne, Vittorio Grigolo, Günther Groissböck, Thomas Hampson, Bryn Hymel, Teodor Ilincai, Simon Keenlyside, Alfred Kim, Dmitry Korchak, Gregory Kunde, Yonghoon Lee, Ambrogio Maestri, Christopher Maltman, Alexey Markov, Markus Marquardt, Peter Matić, Peter Mattei, Francesco Meli, Evgeny Nikitin, Leo Nucci, Simon O’Neill, René Pape, Michele Pertusi, Simone Piazzola, Saimir Pirgu, Bernard Richter, Peter Rose, Fabio Sartori, Andreas Schager, Erwin Schrott, Peter Simonischek, Antonino Siragusa, Pietro Spagnoli, Falk Struckmann, Ludovic Tézier, Ramón Vargas, Christopher Ventris, Rolando Villazón, Marco Vratogna, Markus Werba, Lars Woldt, Kwangchul Youn. Besides the above mentioned conductors who will be debuting in 2017/2018, the orchestra will play under the baton of many maestros who will be returning to the Wiener Staatsoper in the course of the coming season: Alain Altinoglu, Marco Armiliato, Philippe Auguin, Giampaolo Bisanti, Michael Boder, Paolo Carignani, Frédéric Chaslin, Myung-Whun Chung, James Conlon, Jonathan Darlington, Adam Fischer, Guillermo Carcía Calvo, Sascha Goetzel, Eivind Gullberg Jensen, Michael Güttler, Axel Kober, Patrick Lange, Louis Langrée, Ingo Metzmacher, Tomáš Netopil, Evelino Pidò, Speranza Scappucci, Jean-Christophe Spinosi, Christian Thielemann, Sebastian Weigle, Simone Young.  Recitals: internationally acclaimed singers will perform attractive concert programmes on seven evenings.  Matinee series Ensemble Matinee in the Mahler-Saal: on seven different dates, young ensemble singers will be showcasing their talent outside the regular performance schedule. They will be accompanied on the piano by the répétiteurs of the opera house.  Chamber Music Cycle of the Vienna Philharmonic: in ten matinées, members of the Vienna Philharmonic will present a diverse programme of chamber music in various different ensembles.  Kontrapunkte – discussion matinées by and with Clemens Hellsberg: Dr. Clemens Hellsberg will be moderating two high profile round table discussions about current cultural topics. This wide spectrum of activities will be rounded off by a number of additional matinées. The ever-popular open day at the Wiener Staatsoper will take place on 2 September 2018. There will be over 350 performances on the programme during the 2018/2019 season, including 217 opera performances (including The Magic Flute for Children), 58 ballet performances, 8 concerts, 9 vocal matinées, 10 chamber music matinées, 9 other matinées as well as numerous children’s opera performances, children’s concerts and other events in the AGRANA STUDIOBÜHNE | WALFISCHGASSE. On 28 February 2019, the 63rd Vienna Opera Ball will take place: the opera house will again be transformed into a gigantic ballroom, where two performances of The Magic Flute for children will be given the following day. As of today, the new Wiener Staatsoper Ticket App (available for free download from the Apple App Store) enables mobile ticket reservations and purchases. Seats can be selected in the seating plan and purchased with credit card (payment details can be saved by request). Purchased tickets will be issued directly on your mobile device and can be forwarded or printed by the customer. Opera visits are also possible upon presentation of digital tickets on mobile devices. During the 2017/2018 season the WIENER STAATSOPER live at home programme will broadcast a total of 45 performances live on the internet in excellent picture and sound quality. “Live Opera on the Square” will again feature a selection of around 20 opera and ballet performances per month that will be transmitted live on Herbert von Karajan Square outside the opera house in September, April, May and June. In addition, all performances from 27 December 2018 to 1 January 2019 as well as the New Year’s Concert of the Wiener Philharmoniker will also be screened live on the square. Die Fledermaus on 31 December will be a contribution to the City of Vienna’s “New Year’s Eve Trail”.  The live streaming programme of the Vienna State Opera was launched in October 2013 and has constantly been further developed and expanded since then: Currently, 45 opera and ballet performances are being broadcast worldwide live in excellent picture and sound quality via the internet on computers, Smart TVs or mobile devices. 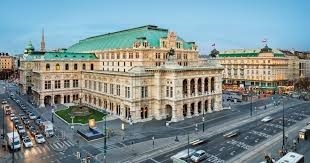 Thus, in this field, the Wiener Staatsoper – the opera house with the world’s largest repertoire, including more than 50 operas and 10 ballet programmes – has taken another internationally leading role. 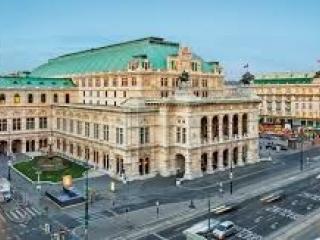  The broadcasts start 30 minutes before the performance with backstage views, information about the Wiener Staatsoper and the artists, synopses of the streamed works, etc. During the intervals viewers enjoy impressions from the house, interviews, making-ofs and related editorial content.  A video store opens the archives with current and historical productions as “Opera rental” on-demand streams.  The yearly subscription (€ 159,-) offers all 45 live broadcasts as well as three monthly changing productions from the video store, which are also included in the monthly subscription (€ 16,90). A single ticket for a live broadcast costs € 14,-; in addition a “Smart” ticket (8 live broadcasts at free choice for € 88,-) is offered. An on-demand stream from the video store costs € 5,- and is available for a week. The Wiener Staatsoper has developed this new technology for a live schools programme on selected dates in order to make its portfolio available to large numbers of young people throughout Austria and abroad: WIENER STAATSOPER live at school. This enables students to discover the opera house and its many professions, experience live rehearsals, and watch live broadcasts of opera or ballet performances together in the morning during school hours thanks to time-shifted broadcasts. All details about the 2018/2019 season of WIENER STAATSOPER live at home as well as the tickets/packages can be found at www.staatsoperlive.com.